Star Citizen creates huge cities like Blade Runner 2049. The video below was taken from Chris Robert's key note. 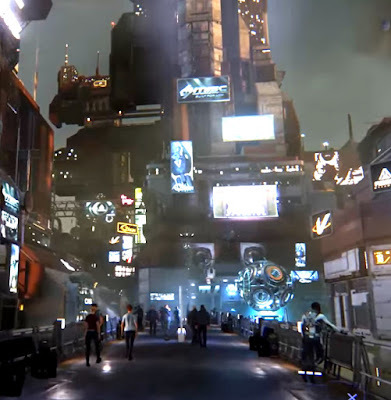 Which teases some game play for the new roll out of Star Citizen 3.0. Check out the 13 minute mark of the video. So apparently every aspect of this new game can be explored. Wow! New Godzilla Anime Trailer Out! Updated 2018! Stargate Origins Coming in 2018, UPDATED! Animated Comic Book Covers - Updated! Golgotha Sci-Fi Comic Book Free Preview!